Radio 90.5 FM Trinidad and Tobago Live Streaming Online . It broadcasts Latest bollywood songs 24 by 7 . 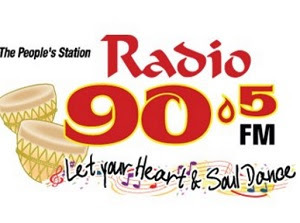 Radio 90.5 began its “all Indian music” format on August 17th 1997. First East Indian radio station to stream “live” on the net - making it more accessible to a number of listeners and bringing a taste of home to those who reside abroad. ON AIR Studio: + 1 868 622 9050.